projects — Tom Liam Lynch, Ed.D. BardBots is a 20+ page free curriculum that introduces teachers and students to computational thinking and robotics in a most unlikely way: through Shakespeare. Students will analyze Shakespeare's texts, interpret scenes for stage performance, and then switch gears in order to program robots to perform the scenes. Students also reflect critically on the relationship between computational languages and human languages as they begin to uncover that software itself is just another literacy practice. Education needs to be talked about more often in public forums. And teacher education programs must do more to make their work with candidates contribute to the public discourse. To that end, Tom began Gradgrind's, a website that curates historical, cultural, and scholarly artifacts about education. 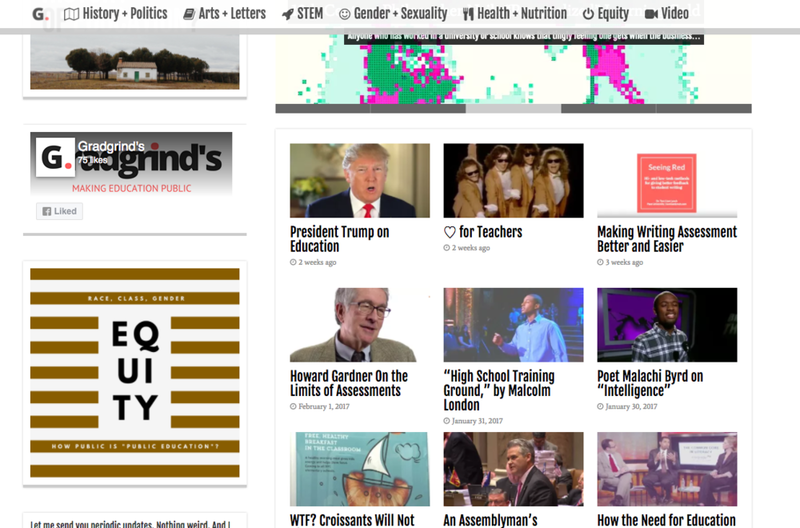 More than a website, Gradgrind's serves as the curricular backbone of Tom's course in the foundations of education. The goal is to make it easier than ever for students and the public to learn about the richness and complexity of teaching and learning. Tom designed three projects for introducing computer science in the context of secondary English Language Arts. Each project features a summative assessment in which students write "mixed literary analyses," which asks students to conduct a traditional close reading of a literary text AND to also use a quantitative data set about the text in their final argument. 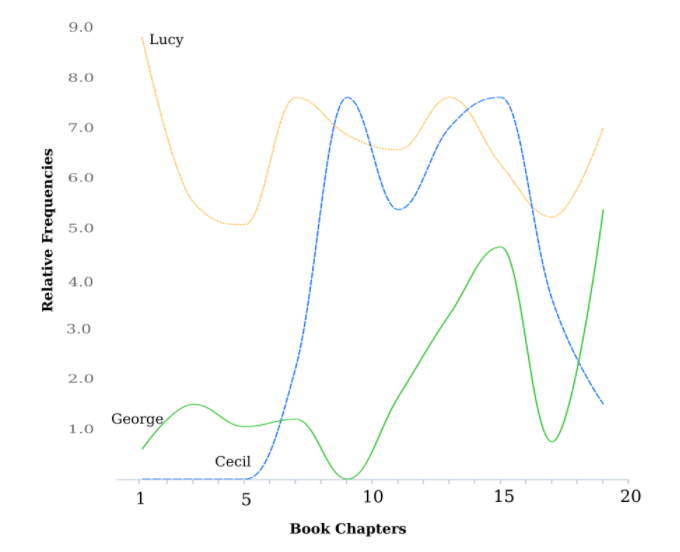 Students discover that quantitative data can provide new ways of looking at literature--not replacing the power of readers' responses to texts but rather deepening readers' experiences. Digital humanities scholars at the post-secondary level have done excellent theoretical and methodological work that can be translated for K-16 settings. In fact, that's the very work of an initiative underway at Pace University called Babble Lab. Tom and his colleague Dr. Kelley Kreitz launched a center for digital humanities pedagogy and research--the focus being not just on how to use computational techniques in humanistic inquiry, but rather understanding how best digital humanities can be taught. Tom has served as a column editor for the National Council of Teachers of English's (NCTE) flagship publication English Journal. 16,000 English teachers read the journal each month. During his tenure writing the "Soft(a)ware" columns, Tom has explored what it means to teach English as computational languages mediate and shape more of our world. His conclusion? English teachers of the future will have to add programming to their areas of expertise. Now he's focused on identifying what it might look like. As Tom creates videos for different academic purposes, he has begun to post them on his YouTube channel so they can be more widely available to the public. Rather than keeping his mini-lectures, responses to questions, and tutorials locked behind a university's firewall, he has begun to make such videos available to all. Check out this example from his course on the foundations of education. Tom co-authored the philanthropic grants totaling more than $6.8M to create a new professional development and resource ecosystem for the NYC Department of Education. Post-award, Tom stayed on as a close adviser to the WeTeachNYC team, supporting in team-building, budget, product build, and implementation planning. As Institute of Play looked toward blended models of professional learning to bring their innovative approach to teacher education to scale, Tom worked closely with their program team to design a new adult learning environment, secure a third-party development firm, and shepherd the project to its initial launch. It's called TeacherQuest. What might computer science look like in k-12 humanities classes? Perhaps Tom's prototypes offer direction. Tom worked with the team at Babble Lab to design this innovative approach to teaching programming through literature. In other work, Tom developed examples of how computational text analysis might be integrated into secondary English Language Arts classes. Here are a couple examples, with curriculum to launch in the Summer 2017.